Peter Trent, author of "The Merger Delusion. How Swallowing Its Suburbs Made an Even Bigger Mess of Montreal" responds to Robert Libman's "Setting the record straight on the merger/demerger"
Mr Libman would have us believe that in 2001 he was against the forced mergers that created the Montreal megacity and that even as late as 2004 he was not against “true demerger” – only against the admittedly difficult and diluted demerger process permitted by the Liberals’ Bill 9. Mr Libman’s own statements at the time run contrary to this rather creative recast of history. Late in November 2001, the Toronto Star published a piece about Mr Libman entitled “What a difference a megacity job makes for outgoing mayor.” Libman told the Star that his new megacity job was “like a dream come true” and hoped the Supreme Court “will make suggestions on how to make this very important piece of legislation better... If we can maintain what we had before in the municipalities and if we can keep a lid on the taxes ... that can be a win-win situation for everyone.” A one-time nightmare had become a dream come true. 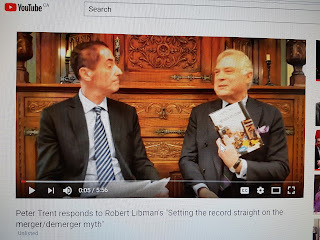 So Robert Libman was against forced mergers, yet called the law that imposed them a “very important piece of legislation.” And he was not against “true demerger,” yet years before he took a dislike to Bill 9, he was suggesting that the resolve for demerger would die away. One can only stand back in wonder at such agility in “straddling the fence,” as the Toronto Star put it. Robert Libman, in his recent flyer, now says suburbs on demerging would have controlled only half their budget. That’s not what he said repeatedly in April 2004 on CTV. He then said that the “breakaway municipalities” (as he termed us) would control only 30-40% of their budgets. How wrong he was. Today, the “breakaway municipality” of Cote St-Luc has control over nearly 60% of its budget. What Robert Libman will never say today is something that he repeated ad nauseam back in 2004: “boroughs have full autonomy and control over local services.” This is why he campaigned for CSL to remain in the megacity. Again, he was dead wrong. As many of us predicted, boroughs have constantly lost power over local services since demerger: snow removal, arterial roads, parking, human resources, labour negotiations, IT, communications, building management, large-scale zoning, purchasing...the list goes on. In fact, had CSL remained in the megacity, today it would control only around 20% of its spending, not 60%. When Robert Libman became CSL mayor in 1998, there were four Cities (out of the 14 that eventually demerged) that had a higher tax rate than CSL’s. Three years later, just before CSL disappeared into the megacity with Libman still putatively its mayor, there were only two of these 14 Cities with a higher tax rate than CSL’s – the same two, incidentally, as today. This happened under his watch. The only reason, as Mr Libman well knows, that Montreal boroughs have lower tax rates than CSL’s is – aside from poorer services – the massive subsidization of the Montreal residential sector by their commercial sector, a subsidy that grew even more once the megacity was created. This also explains why Dorval, TMR and Baie d’Urfé have lower tax rates than CSL – even lower than those in Montreal. Is Mr Libman suggesting CSL remerge with Montreal to get lower tax rates? The above commentary and quotes can generally be found in my 2012 book on the mergers; which, in common with this letter, is a matter of public information. Campaign for Mayor well underway: Thank you all for the overwhelming positive encouragement. As the only declared candidate for mayor who is supported by the entire City Council of Cote Saint-Luc and former Mayor Anthony Housefather, our new Member of Parliament, I resigned as City Councillor for District 7 on Monday, February 8th, despite not being required to resign until I file my nomination papers for mayor which can only be done during the nomination period which will take place between February 26th to March 11th, 2016. Although I would prefer to continue to serve and provide value to my fellow councillors for as long as possible my early resignation will allow the City to have a concurrent by-election for District 7. By holding the by-election for the new District 7 councillor at the same time as the by-election for mayor, the City will be spared the expense of holding two by-elections. It will also allow our council to move forward as soon as possible with a new member of the team serving District 7. This is the right thing to do. I am humbled to have the support of all of my council colleagues and have enjoyed working with each one of them, all of whom contribute so much based on their personal passions, integrity and intelligence. Acting Mayor Glenn Nashen served with dignity and excellence until December 31st. Dida Berku who took over in January will be Acting Mayor until the by-election is complete and will continue to provide excellent leadership. We are most fortunate to have so many capable members on our team. I look forward to serving with each of them and the new councillor to be elected in District 7. When I return to council as mayor I shall endeavour to provide the consensus style of leadership that Anthony Housefather did so well in order to ensure that Cote Saint-Luc continues to be one of the most desirable cities in which to live. 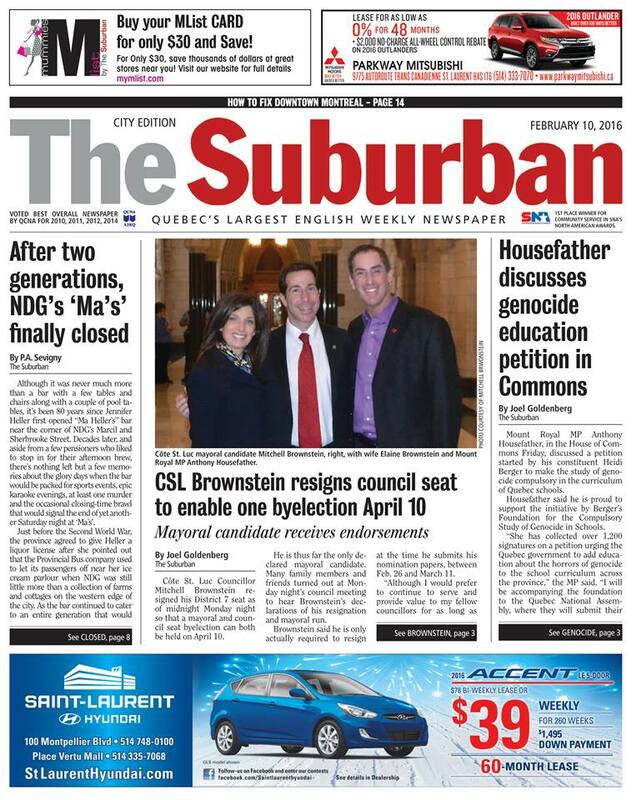 Councillor Mitchell Brownstein has announced that he will be running for the mayoralty of Côte St. Luc early next year, to replace now-Mount Royal MP Anthony Housefather. “I worked extremely closely with Anthony these past 10 years and I believe together with our most talented council, we can continue to build one of the most desirable communities in which to live,” Brownstein says. Brownstein has the support of Housefather and all seven of his council colleagues, including Allan Levine, who withdrew his own candidacy for the mayoralty. Brownstein was on council from 1990 to 2001 and returned after demerger took place in 2005. He was acclaimed in the 2009 and 2013 elections, and was a demerger leader in Côte St. Luc. “For the past 10 years we have seen the benefits of demerger, which allows for direct taxation, control over our unions, our infrastructures, emergency medical services, and so much more,” said Brownstein. His portfolios have included parks and recreation and public works, and he founded the Côte St. Luc Dramatic Society, co-chaired the Aquatic and Community Centre Development Project and was a pioneer of the Fun Card concept. Each remaining council member issued a statement of support for Brownstein. Côte St. Luc council passed a resolution at Monday night’s council meeting asking the Quebec Municipal Affairs ministry to allow the mayoral by-election to take place on Sunday, April 10, 2016. A notice announcing the by-election will be placed by the city’s returning officer in early December. Normally, the by-election has to take place four months after a council vacancy is announced — that announcement was made at the Nov. 9 council meeting. Council’s resolution asks for the extension because of the “numerically substantial” senior population in the city who stay in Florida from December to March, and return in April. “It is in the best interests of the city to maximize the democratic process and voter turnout by including as many of these seniors as possible in the by-election process,” the resolution adds. Côte Saint-Luc City Councillor Mitchell Brownstein has announced that he will be a candidate for the vacant mayor’s position in the upcoming by-election. Anthony Housefather stepped down as mayor recently after being elected as the Member of Parliament for Mount Royal. 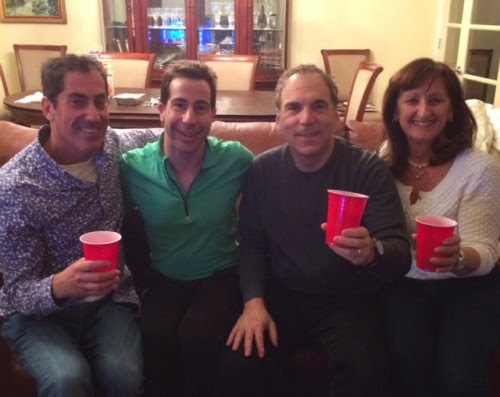 Housefather has endorsed Brownstein for mayor as have all seven other members of council: Dida Berku, Allan J. Levine, Sam Goldbloom, Mike Cohen, Steven Erdelyi, Glenn J. Nashen and Ruth Kovac. Brownstein is an attorney by profession and has served on city council from 1990 to 2001. He then joined Housefather, Kovac and Nashen as a co-chair of the successful demerger movement that won the 2004 referendum to reconstitute the City of Cote Saint Luc and returned to council in the 2005 election. He was re-elected by acclamation in 2009 and 2013. As a Cote Saint Luc Councillor he has held important portfolios, including overseeing the two largest municipal departments, Public Works and Parks and Recreation. He founded the highly successful Côte Saint-Luc Dramatic Society, co-chaired the Aquatic and Community Centre Development Project and was one of the pioneers of the Fun Card concept. As a long time member of the Planning Advisory Committee he was integrally involved in many development projects in the community including the OrHahayim synagogue expansion, the Hebrew Academy building, Beth Chabad, the Cavendish Mall redevelopment project and many residential projects where he put the emphasis encouraging young families to move in to Cote Saint-Luc. He was instrumental in having Hydro move the high tension wires away from the homes on Sabin Ave, that are backing onto the substation. He played a pivotal role in the upgrading of many parks, including Nathan Shuster, Richard Schwartz, Arthur Zygielbaum, Allan J. Levine Playground and others. Brownstein is most proud of his being one of the leaders of the successful Canadian Unity resolution movement in 1996. Cote Saint Luc was the first city to adopt a unity resolution and was followed by more than 50 municipalities and served as a contributing factor in the Supreme Court reference and ultimate adoption of the Clarity Act by the government of Canada. “For the past 10 years we have seen the benefits of demerger, which allows for direct taxation, control over our unions, our infrastructures, emergency medical services, and so much more,” said Councillor Brownstein. 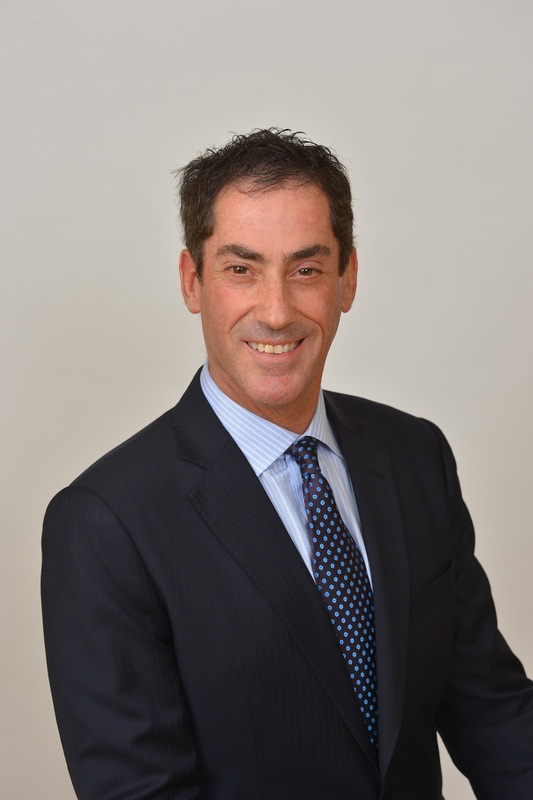 “Through Anthony Housefather's portfolio system each one of the councillors has excelled in their areas of expertise pursuing their passions to the benefit of the city. I worked extremely closely with Anthony these past 10 years and I believe together with our most talented Council we can continue to build one of the most desirable communities in which to live. Councillor Nashen, who presently serves as Acting Mayor, said that he and Brownstein share a common vision for the city which is why they have run on common issues in every election. “Mitchell and I want to see the rejuvenation of the city, responsible and transparent accountability, involvement by residents and volunteers. We are concerned about environmental issues and above all are focused on public safety,” Nashen said. May 2015 - The Government of Canada has announced major changes to the Canadian Citizenship Act that will affect the requirements for eligibility among other factors. It is unknown at this time as to the exact date when the new law will apply, so it is very important for those presently eligible to file their applications as soon as possible. At present the residency requirement in order to be eligible is physical presence in Canada for three out of the four years prior to the date an application for Citizenship is filed. Under the new law the requirement will be physical presence for four years out of the six years prior to the date an application for Citizenship is filed. Other changes include a requirement for individuals between the ages of 14 to 64 to meet a language requirement and knowledge test. Presently this only applies to individuals between the ages of 18 to 54. For more information on the many changes that will affect those wishing to apply for Canadian Citizenship please call our office at 514-939-9559 or email us at brownstein@videotron.ca. Brownstein, Brownstein & Associates Inc.
Catch Me If You Can, The Musical has been extended based on popular demand. Jamie Orchard did a wonderful interview with Brandon Schwartz and myself on Global's Focus Montreal. Brandon also appeared on the Barry Morgan Show on CJAD with our director Anisa Cameron, and will appear on Breakfast Television this Friday at 7:40 a.m.
Arts writer Heather Solomon says: "Catch Me If You Can is polished, non-stop entertainment with a gripping story and a top-flight band. Brandon Schwartz is astonishing." Stuart Nulman of the Montreal Times says: "Briskly paced with an energetic cast and the qualities of a major Broadway production." In other news, Cecile Klein celebrated her 107th birthday at the matinee show on Sunday June 15th. Cecile is a regular at our shows and even attended our show last year at Wagar High School, where she easily climbed three flights of stairs to enjoy Fiddler on the Roof. The Cote Saint Luc Dramatic Society and the City of Cote Saint Luc wish her many more years of health and happiness and look forward to seeing her at future performances. Shows are selling out fast. Click here to select tickets. If none are available for the show you wish to attend please come to the door at 5801 Cavendish, Harold Greenspon auditorium at City Hall one half hour prior to the show start time and unassigned seating tickets will be sold on a limited basis. 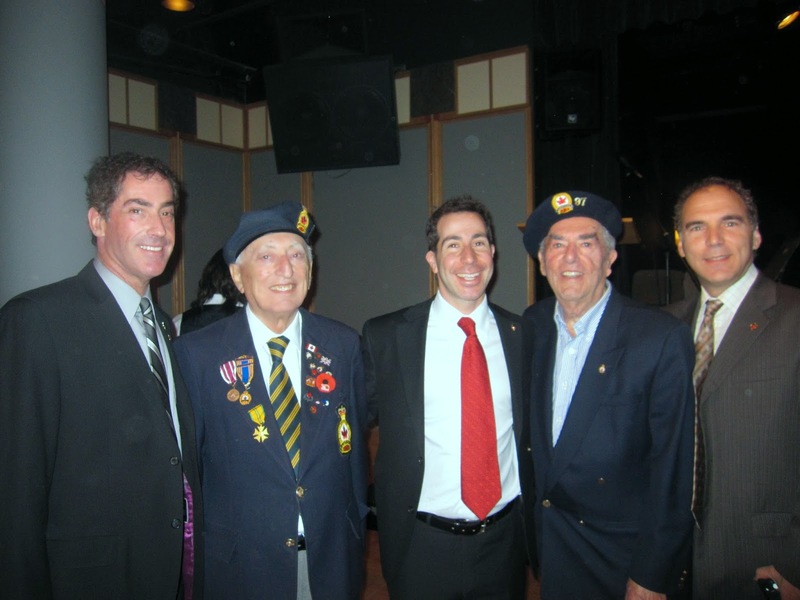 Sunday, April 27th marked Côte Saint-Luc's annual Victory in Europe (VE Day) remembrance at Veteran’s Park and City Hall. The annual Yom Hashoah commemoration took place that evening at Cote Saint Luc's Tifereth Beth David Jerusalem Congregation. 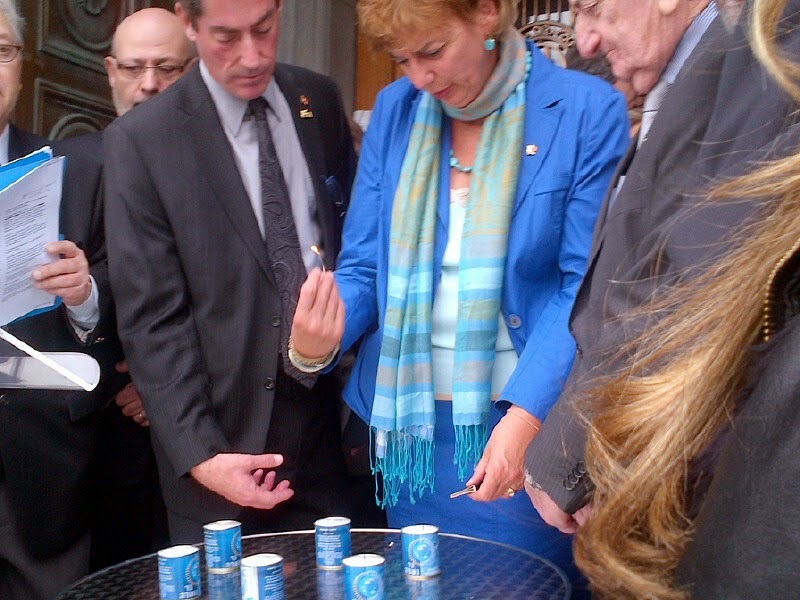 On Monday morning, April 28th I attended the Yom Hashoah commemoration at Montreal City Hall organized by B'nai Brith Canada Executive Director Harvey Levine and in the presence of Mayor Denis Codere, David Birenbaum, MNA and many other politicians and dignitaries. Veterans Sidney Barnet and George Nashen at the VE Day commemoration. Click here for Glenn's excellent audio and video reports of the VE Day event. Election results reaffirm Cote Saint Luc is the best place in the world to live. I have always believed that the suburban city of Cote Saint Luc is the best place in the world to live. We benefit from being part of the beautiful metropolis of Montreal, in the only province in Canada with a European flavour, in an internationally respected leading federal democracy with one of the highest qualities of life in the world. I have been sending that message since first elected to Council in 1990, passing resolutions on Canadian Unity and the Charlottetown Accord in 1992, joining a Raise the Flag grass roots organization in 1993, followed by resolutions to remain a part of Canada in 1996 and speaking out against the most recent PQ Charter of Values in 2013. I continue to tell my children, friends and relatives how lucky we are to live here and that as time goes on, Quebecers of all backgrounds are learning to appreciate all the benefits that exist right here in our community. Where else can you live in a city like Cote Saint Luc with one of the best recreation, library, and emergency services, while at the same time being minutes from downtown Montreal, an hour from the lakes and mountains of the Laurentians and our United States border communities? Where else can you find real estate whether housing or rental apartments of the calibre offered here at affordable rates? Where else can you have access to learning two languages with ease and run a business at affordable cost? As a Canadian Immigration attorney I only truly feel at home after travelling to Asia, Africa or Europe, when my final flight takes me from Vancouver or Toronto to my home right here where my family has now lived for four generations. It is important to note that the 18 to 24 years old voters in this election voted 2 to 1 against the Parti Quebecois indicating a bright future for a strong Quebec within Canada. Based on popular vote the Liberals received 41.5%, the CAQ 23%, the PQ 25% and the Quebec Solidaire 7.5% which indicates that if a referendum were held today approximately 65% of voters would vote to remain a part of Canada. There is a clear movement by young French Quebecers to become members of our global community and the old view of being insular is no longer attractive to our youth. Although some soft separatists may like the idea of an independent Quebec, they do not want to deal with the issues of constitutional reform, borders, currency, passports or other issues that may effect their quality of life as it is today. Their concerns are the economy and jobs and they feel comfortable in Quebec, Canada and in the global community at large. Our future is bright.